I couldn’t take a photo of volcano erupt in the morning. Now I could do it in the evening. I planed to have the dinner at Italian restaurant “Ristorante di Canaletto” but the queue is long. Although there was the show in Mediterranean Harbor at that time. I went to Cafe Portofino instead. The order system here isn’t the same as other restaurant I used to visit in Tokyo Disney Resort. You pick up any dishes and drinks you want then pay them at the cashier. I order the pasta set which consisted of a pasta, a soup or salad, a dessert and soft drink of your choice. I chose crab tomato sauce spaghetti, seafood salad, caramel mousse cake and blood orange juice. The seafood salad and caramel mousse cake are the special dishes for Christmas season. I got a little problem while ordered. I want an additional seafood but they didn’t allow me to order when they saw the red napkin on my tray. I had to pay the pasta set and put it on the table first. Then I went back to order it again. I think we can order the set and additional dish within the first time. Maybe their system doesn’t allow to do this. About the meal. The taste was great. The salad’s fresh. Spaghetti is soft and crab sauce’s delicious. There’re a lot of seafood in the soup but I think it’s too expensive when isn’t ordered as a set. The cake is so soft and sweet. 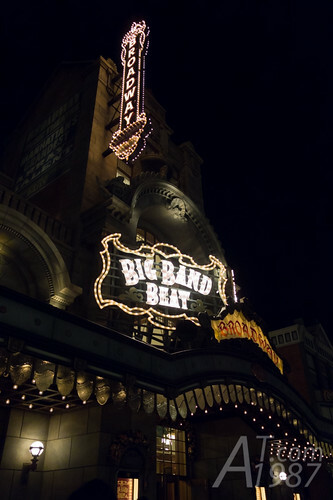 It’s almost the showtime of Big Band Beat. I went to Broadway Music Theater for taking a seat before the showtime. I got the Orchestra seat in front of the stage. The view was so great. The band played the songs from Disney movie with the Christmas theme. The climax of the show is Mickey playing drum set. He’s very good however I dozed off a little. After show ended I wanted to stay here for a while. So I got on DisneySea Electric Railway nearby. 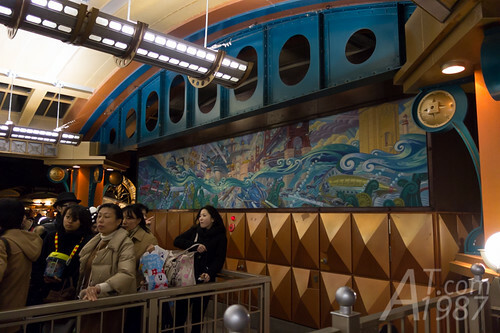 The different between this train and the one in TDL is this one is used for transportation. 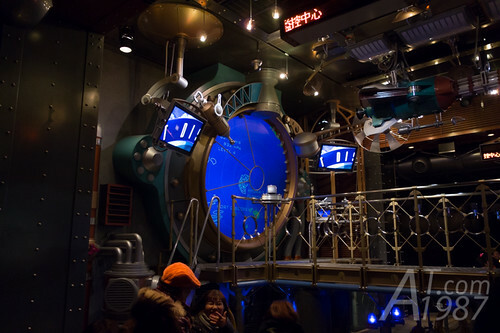 I got off at Port Discovery where is its destination. I visited StormRider again because wanted to see the different between the left and right cinemas. After finished watching StormRider. I went to Lost River Delta. Most of stations are near the landmark of their areas. It’s not hard to find them. However I suggest you to plan your trip in detail. I use the site called Hyperdia to help me plan how I travel in Japan. Since the Hyperdia also tells you the travel fare. You can use it for making decision to buy the pass. About the pass. If your trip need to travel by shinkansen trains. The JR pass is a must. There is the JR pass that valid on all JR train in the country and ones that valid only in some parts of Japan. Some tourist attraction cities such as Hakone, Nikko, etc. have their own pass tickets which save you the transportation fare in their cities. Some passes will also included the round trip fare from Tokyo. Here’s my example using Hakone Free Pass. If you are only in Tokyo and the city around Tokyo. I think you don’t need any passes. The discount from most pass tickets in Tokyo isn’t much. Save your time by using cash card like Suica or Passmo instead. Hope my comment will help you.